No matter how well-behaved a child is, eventually you will have to deal with tantrums and defiance. Nannies are tasked with the important responsibility of acting as proxy parents and teaching children good values and appropriate behavior. Discipline should aim not to control or punish children, but instead teach them how to act in the world and how to care for others. 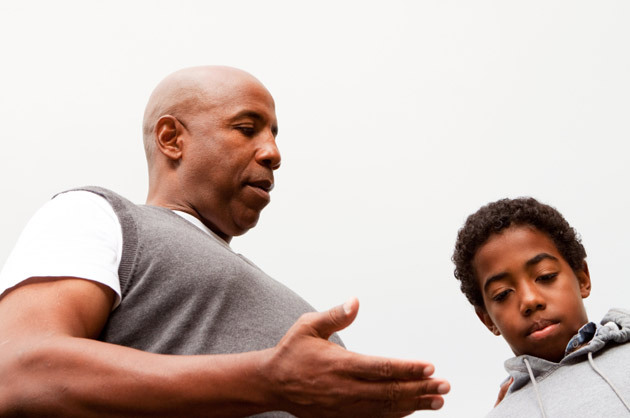 Here are some factors to take into account when disciplining children. The American Academy of Pediatrics recommends that parents never spank their children, and numerous studies have documented that punishment tends to increase bad behavior and can lead to violence. Even if your employers spank their children, you should never spank them. Spanking a child who is not your own could lead to charges of child abuse or the loss of your job. Give a child a time out – one minute for every year of age – when she is acting out of control. Time outs should be used to encourage children to calm down rather than as punishment. If a child is yelling, whisper. This encourages her to calm down to hear you. Turn off the television and video games if your charge isn’t listening. Take away privileges such as television or cell phones for repeated bad behavior. Talk about feelings, and how bad behavior can hurt other people and make them feel bad. Apologize when you are wrong—if you yell, if you accuse a child of doing something he didn’t do or if you get frustrated. Children thrive in consistent environments, so it’s important that you work together with parents to establish a consistent routine. Let parents know of any discipline strategies you’ve instituted, and make sure you’re aware of any recent problems or changes in behavior. This helps you create a consistent environment and make sure rules are always enforced. With children over the age of 6, a “Constitution” can be a powerful discipline tool. This clearly sets out the rules for both sitter and children. Ask your charges to sit down with you and to name 10 rules for kids and 10 rules for parents and sitters. The rules must be fair and might include something like, “No yelling” for parents and “No hitting” for kids. When children can designate their own rules, they’re far more likely to follow them, and allowing kids to talk about the rules they’d like their caregivers to follow helps kids to feel the rules are fair. When you’re done writing the constitution, display it prominently in the house, and when kids misbehave, point out to them which rule they have broken.